Oil prices collapsed on Friday, with WTI threatening to break the $50 mark and Brent falling below $60 for the first time in over a year. Brent fell below $60 per barrel during trading on Friday, a threshold not breached in over a year. WTI also saw a significant collapse, threatening to break below $50. The more oil prices fall, the more pressure OPEC+ will feel as its December 6 meeting approaches. Saudi production hit 11 mb/d. Saudi Arabia’s oil production hit 11 million barrels per day (mb/d) temporarily in November, although the full monthly average is expected to come in a bit lower than that. The 11 mb/d figure is a record high, but Riyadh plans to cut exports by 500,000 bpd in December. Permian surge expected next year. The inauguration of new oil pipelines in 2019 could unlock another wave of supply from the Permian basin. “The Permian will continue to grow and OPEC needs to learn to live with it,’’ said Mike Loya, the head of Vitol Group’s unit in the Americas, according to Bloomberg. The U.S. shale industry proved that it could weather pipeline bottlenecks this year, and even grow production at an incredible rate, which suggests that even more growth is forthcoming. Bloomberg says that shale executives talk about a coming “tsunami” or a “flooding of Biblical proportions,” with a lot of other hyperbolic adjectives being thrown around. 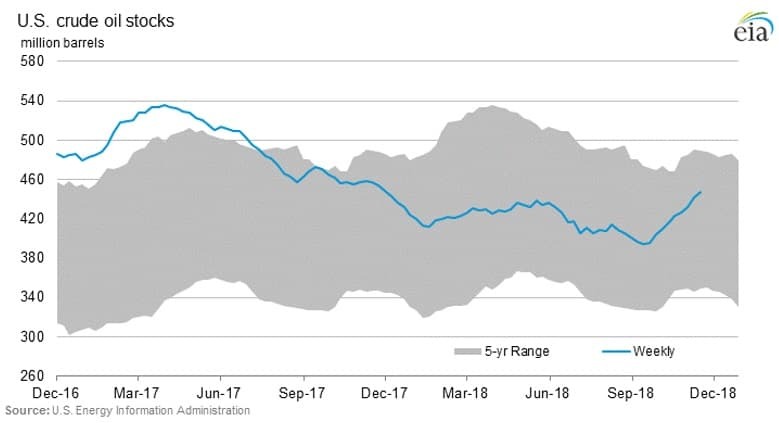 U.S. total liquids production (both crude and natural gas liquids) could hit 17.4 mb/d by the end of next year, according to the EIA. Does Saudi Arabia want to build a nuclear weapon? The New York Times explores the secret negotiations between the U.S. and Saudi Arabia over a nuclear power deal. The agreement would allow for the construction of nuclear reactors in Saudi Arabia, but Riyadh wants to control the fuel cycle, which raises questions about motivations for a weapons program. The recent murder of Saudi journalist Jamal Khashoggi, and the shifting explanations for what happened, also seriously undercuts the credibility of the Saudi regime. China’s gasoline exports drop to 13-month low. China’s gasoline exports in October fell to a 13-month low, a sign of an emerging glut in Asia. Inventories in Singapore are at a three-month high. 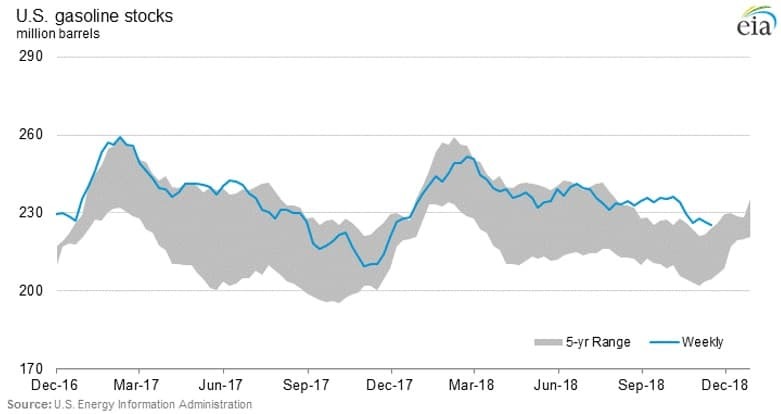 At the same time, diesel exports in October jumped by 40 percent from a month earlier, as demand for middle distillates remains strong. BP begins production at Shetlands project. BP (NYSE: BP) began production at the second phase of its Clair field in the West of Shetland region this week. According to Wood Mackenzie, the West of Shetland region will be the only area of the North Sea zone that will see output grow through 2025. The mature North Sea has struggled to attract new investment, but some of the oil majors see the West of Shetland region as promising. “Clair is a massive oil accumulation with over 7 billion barrels of oil in place. That’s why we see Clair Ridge being out there for 40 years,” BP’s head of North Sea Ariel Flores told Reuters. The Clair project was seven years in the making, and production could hit 120,000 bpd. Libya expects OPEC exemption. Libya’s oil production has climbed significantly this year, but the war-torn North African nation still expects to be exempted from any production cut deal, despite the fact that the global oil market is starting to suffer from oversupply. Production recently hit 1.28 mb/d, a five-year high. Political progress also promises to clear the way for Libya to boost production. The National Oil Corp. hopes to raise production to 1.6 mb/d. Canada offshore outage due to storms. Canada’s eastern province of Newfoundland and Labrador saw four oil fields go offline due to a powerful storm last week, knocking a combined 150,000 bpd offline. Only one field has resumed operations. Trump administration to propose biofuels requirements. The Trump administration is set to propose blending requirements for the final three years of the U.S. Renewable Fuels Standard in January, which will set off another round of fighting between the ethanol and oil industries. The program, launched in 2007, expires in 2022. Reuters reports that the Trump administration is expected to propose blending requirements that lean more in favor of refiners, lowering the ethanol requirements that refiners need to use in their fuel mixes. “We are going to ask and we expect to see lower volumes across the board,” Derrick Morgan, a lobbyist for the American Fuel and Petrochemical Manufacturers, told Reuters. Canada considers buying rail cars to move oil. The crisis in Canada’s oil industry is forcing the government into action. The federal government is considering a request from Alberta to share the cost of buying rail cars to move 120,000 bpd of oil from the province, according to Reuters. The pipeline bottleneck in Alberta has pushed prices for Western Canada Select (WCS) below $15 per barrel. Investment banks lower oil price forecast. A survey of investment banks by S&P Global Platts finds an average forecasted Brent price of $75.50 per barrel in 2019, down from $78.51 per barrel in October. The price is significantly higher than prevailing spot prices, and the price also is notable because of worries over the global economy. The investment banks expect OPEC+ to cut production to help erase the supply glut. “OPEC has indicated its determination not to let the market slip back into oversupply in 2019, and we think it has given a clear indication of its intention to defend prices in the $70s,” HSBC said in a note last week. Philippines and China make progress on South China Sea. The Philippines and China struck an agreement that would move the two sides closer to cooperation on oil and gas exploration in the South China Sea. Oil is sloshing around the world. 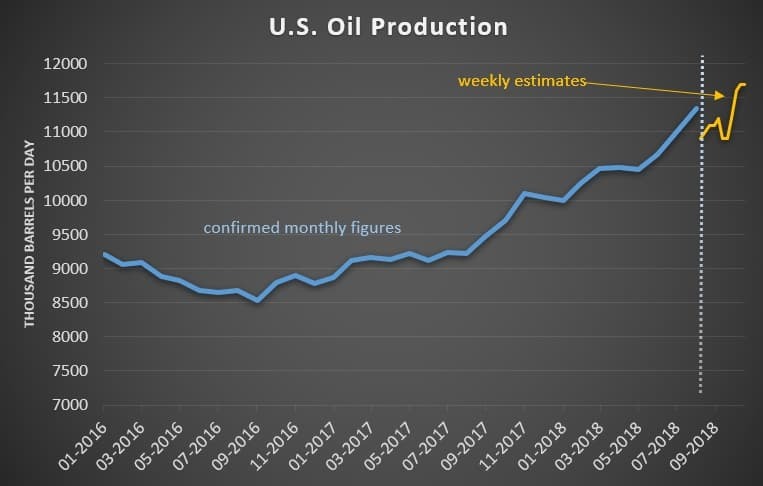 US production as usual is far outstripping all the forecast & all of this is despite crashing Venezuela production & Iran Sanctions. Any cutbacks mean there is just more & more idle production sitting there ready to go. It will be interesting to see how the energy industry, the banks, & Wall Street manage to push prices back up. No doubt some propaganda about a crisis somewhere & lots of noise about Saudi/OPEC cuts. The sweet spot for WTI was $55 to $60. That was enough for the greedy. They had to push it up over $70 & whack global growth. They never ever learn. Now instead of giving lower prices Time to spur global growth greed is still at work. They want to yank prices back up & whack growth again. They never learn. Always happens after I fill up heating oil for winter. Lets face it, there is no shortage of oil and won't be for generations to come. It's just rigged prices by the cartel.